Real results backed by cold hard data. 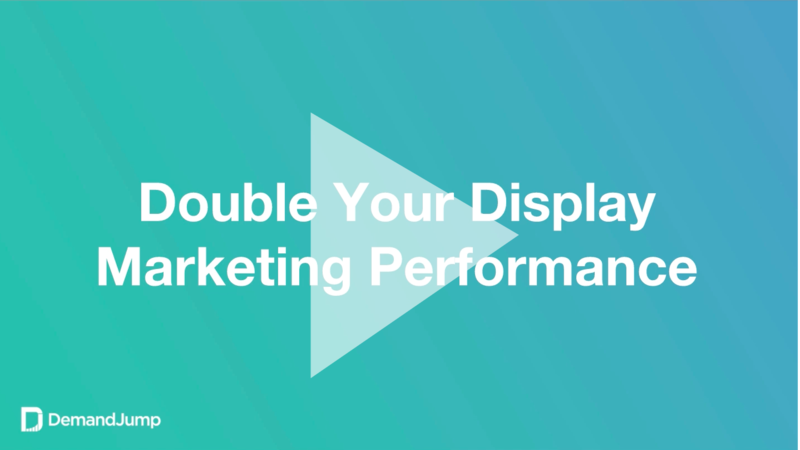 Display and remarketing has finally met it's better half. Tune in to learn how you can double your results without spending any more money. When it comes to display and remarketing, marketers have always focused on audience targeting — or what we at DemandJump refer to as "The Who". However, when it comes to display, marketers seem to always forget about digital location — "The Where". And we aren't talking talk about "where" in terms of geography. We mean what sites should your ads be placed on to maximize customer acquisition, while eliminating wasted spend? Watch the on-demand webinar right now! Want to see what else Traffic Cloud™ can do for you? Schedule a custom live demo right now.